Imogene Peace, age 88, June 28, 2018. She was preceded in death by her husband of 62 years, Walton L. Peace. Survived by her sons, Ron (Cathi) Peace, and Neil (Tammy) Peace; grandchildren, Cara (Roger) Burrows, Caysa (Jason) Elliott, Cory (Kelsey) Peace, Jordan (Julianne) Peace; great-grandchildren, Cameron, Cole, Parks, and Crosley; siblings, Violet (Buist) Wilson, Marilyn (the late Elwood) Hilliard, James Roy (Francis) Settle, Carolyn (the late Jim) Gunter. 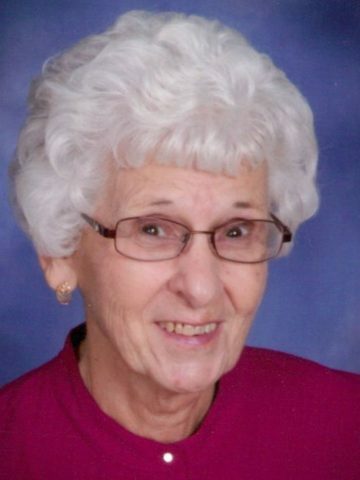 Mrs. Peace was a long time member of Bellshire United Methodist Church where she served as secretary for 26 years. Visitation will be at Cole & Garrett Funeral Home, Goodlettsville Monday from 4-8 pm. Funeral service will be on Tuesday July 3 at 11 am at Bellshire United Methodist Church 1201 Westchester Dr., Nashville, TN 37207 with visitation from 9 am until service time. Interment Middle Tennessee State Veteran’s Cemetery at 1 pm. For those desiring, donations may be made to Bellshire United Methodist Church. So sorry that we can’t be there, but you all are in our thoughts and our prayers. So sorry to learn of the passing of your Mom, Ron. Our thoughts and prayers are with you. So very sorry for you loss. Pleas accept my condolences. I’m sorry to learn of your loss. My thoughts are with you. Thoughts and prayers are with the family and friends. May you lean on God for comfort and strength. The family is in my thoughts and prayers. Please know that the Shackleford family is with you in our thoughts and prayers.